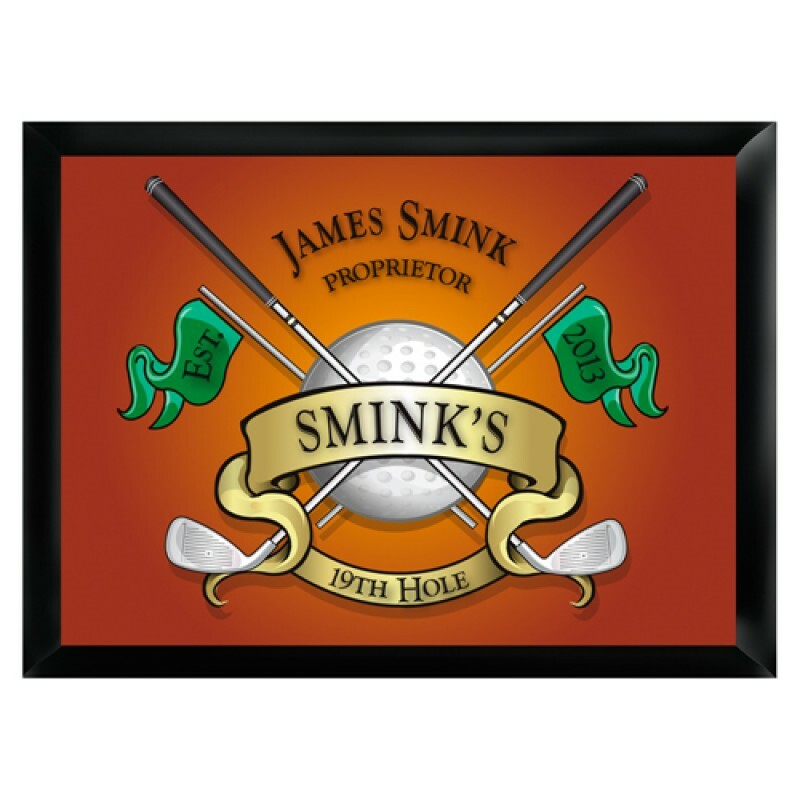 Your golfing buddies will enjoy this "19 Hole" Personalized Pub Sign. 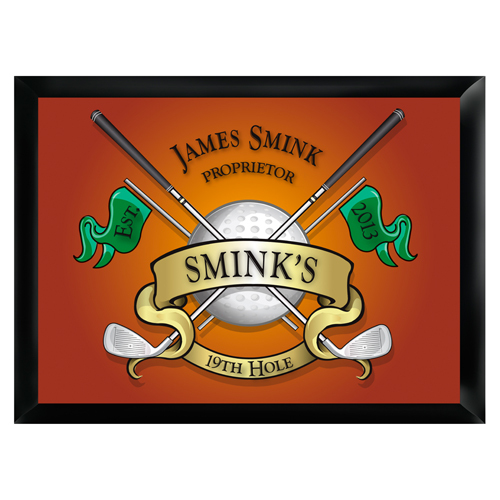 Each design is printed directly onto the wood base for lasting quality. Measures 9" x 12". Personalized with first name, last name and year established.